There are currently two Golden Road Brewing beers available in tall boy four packs. Their Point the Way IPA (which I reviewed here) and the aptly titled GOLDEN ROAD HEFEWEIZEN. 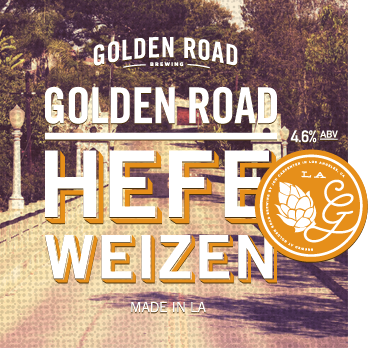 Golden Road’s other flagship beer, Golden Road Hefeweizen, is a Bavarian style hef with a 4.6% ABV and a barely there 15 IBUs. 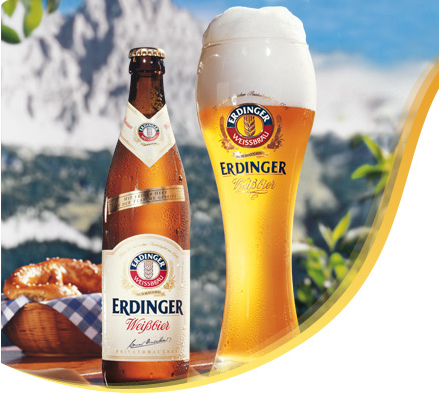 Erdinger Weissbier is a hefeweizen from Erdinger Weissbräu (out of Erding, Germany). 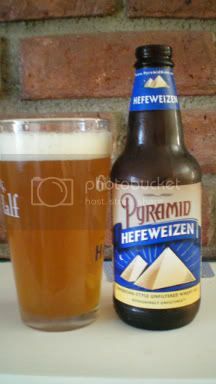 This wheat beer has 2.6 g of carbs and 44 Kcal per 100 ml, and clocks in at an easy drinking 5.3% ABV.